Product #16098 | SKU ATH-M50X | 5.0 (based on 1 rating) Thanks for your rating! 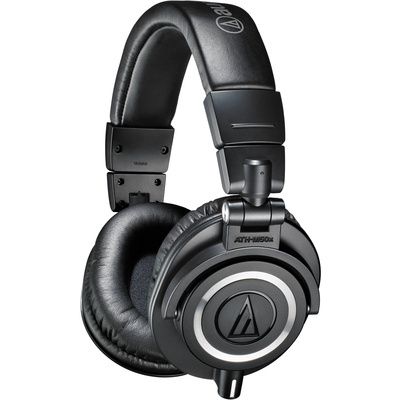 The black ATH-M50x Monitor Headphones from Audio Technica are designed for use in critical studio mixing and tracking as well as for DJ monitoring applications. They feature 45mm Neodymium drivers with copper-clad aluminium voice coils that provide an extended frequency response from 15Hz to 28kHz. 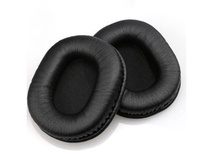 The headphones have a circumaural, around-the-ear design that provides sound isolation in loud environments. The ATH-M50x's ear cups can be swivelled 90-degrees, allowing for single-ear monitoring. The headphones have a detachable single-sided cable system, and a 3-metre coiled cable, a 3-metre straight cable, and a 1.2-metre straight cable are included. When not in use, the ATH-M50x can be folded down and stored in the included carry pouch. I am very disappointed in my AKG K271mkII so needed to try something else. 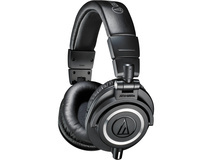 After reviewing on the Web, I decided with the M50 and it was a very good choice. Comfortable, well built, great sound and good bass (i'm a bass player).